An enchanting ring by Le Vian, this sumptuous design is made from 14ct vanilla gold, and set to shimmer. Glistening vanilla topaz feature upon a chic cut-out shoulder design, and to frame the marquise peacock aquaprase. 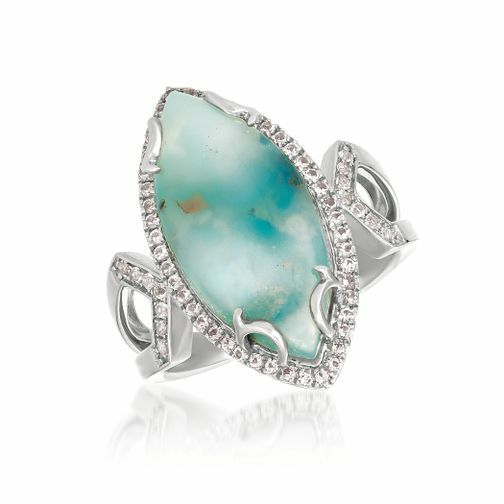 This stunning and soothing ring oozes sophistication and shimmer.